The organ tracks were recorded on a unique privately-owned instrument in New York State, with the requirement by its owner that his name and the organ’s location not be disclosed. This person has known Riesman from their time together at Harvard in the sixties, where they shared an appreciation of keyboard instruments of all kinds, and the two have kept in touch off and on over the years. When, a couple of years ago, Riesman casually mentioned that he was planning an organ album, this friend generously offered the use of his instrument which, at that time, was still under construction. The final elements were added, and voicing completed, just in time for Riesman’s recording dates. Mark Atkins was recorded in Sydney playing to a rough organ track prepared specifically for that session. Due to the fact that Riesman and Atkins live on opposite sides of the earth, it was difficult enough to find a time for Atkins and Riesman to get a half day in a studio together, and out of the question to find the days necessary to set up in a church or hall and do multiple takes of a joint performance. The didgeridoo is a strenuous instrument and Mark can play for only a limited number of minutes before needing a rest. 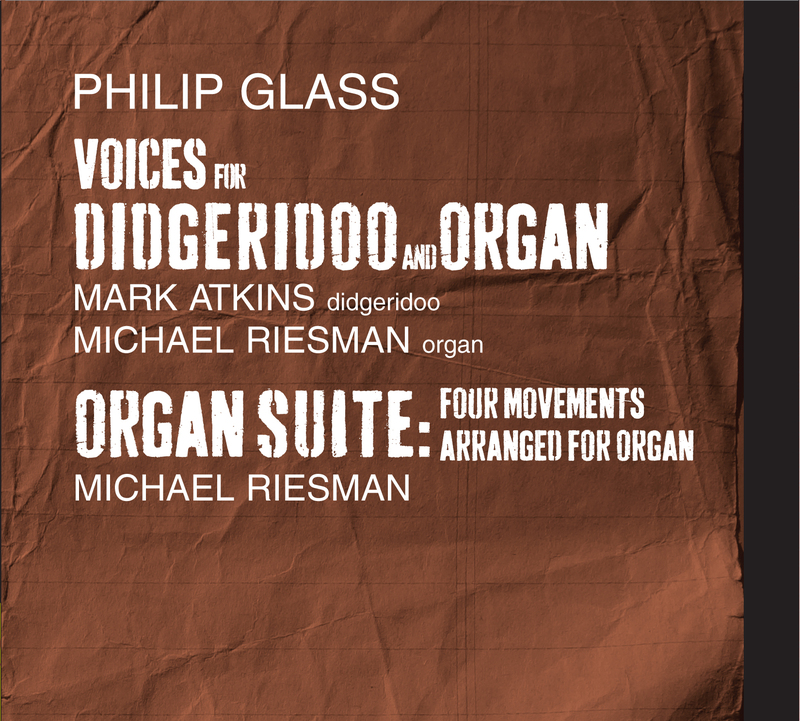 Recording the didgeridoo and organ parts separately was the only way to make this album a reality. Riesman was on an Australian concert tour and arranged to meet Atkins in Sydney and supervise his session. Atkins’ tracks were then brought back to New York and Riesman was able to listen to them on headphones while replacing the temporary organ tracks.